Select Better. Feel Better. Be Better. With the highest purity, potency and flavor, Select Oil has quickly become the best-selling cannabis oil in its class. Winner of the 2017 Dope Magazine's Best Concentrate Company, Select Oil Continues to pave the way in industry standards and innovation. Helpfulness is woven into Select’s DNA. The company started by identifying then solving a problem no one realized exists. Select’s founder was seeking a way to help a close friend treat chronic health problems with cannabis, without the harshness that comes with smoking flowers. Vapor was an effective solution, and what began as a way to help out a friend evolved into helping an entire community of people nationwide. 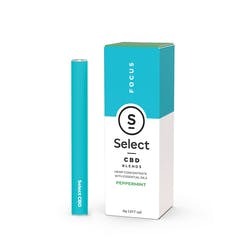 Select started with our flagship product in 2015 – a sturdy and reliable vaporizer pen made with a Japanese organic cotton wick, filled with Select’s exceptionally clean and flavorful oil. 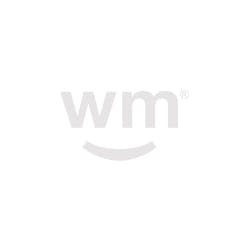 Our obsession with superior products means we are constantly developing new technologies and products that surpass expectations and meet the unique needs of our customers. Today, Select’s spirit of innovation continues. Select’s oil is derived from cannabis and hemp flowers cultivated in live organic soil by trusted local cannabis gardens. Each batch of flowers are carefully examined before being processed into concentrate by experienced extraction artists. 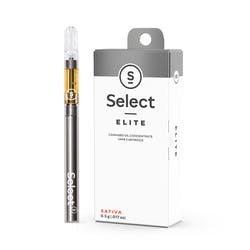 Select’s extraction facility utilizes cutting-edge technology with our thoughtful terpene preservation process to deliver an unmatched oil, superior in quality and potency. With a less than 1% product failure rate, we take our testing and quality control processes very seriously. Every Select cartridge undergoes seven levels of quality control checks. First, Select tests the viscosity of the oil and THC and CBD levels, then machine operators carefully pre-check their cartridges as they are filled. From there, Select’s filling QC team checks the temperature and assembles the mouthpieces on each cartridge. Prior to curing, Select’s QC team inspects each cartridge to search for cracks, leaks, and tanks that were not completely filled. Cartridges that pass inspection are bundled and cured for 24 hours, allowing the oil to fully soak into the wick, which minimizes mechanical failures. The cartridges are further inspected one last time for defects before being sent to a cannabis dispensary nearest you. Even more important is the safety and efficacy of Select products. That's why we hold our oil to the highest standards with the most stringent and progressive testing in the industry. We are one of the first companies proactively testing for a full panel of 66 analytes at the PPB level. 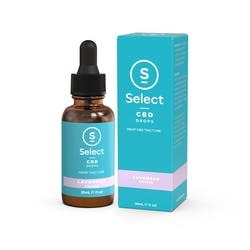 Select CBD is available nationwide and blends together the properties of cannabidiol with carefully selected essential oils and natural extractions for maximized and targeted effects alongside absolute premium flavors. Winner of Leafly's Best-in-State list for Oregon's Best High CBD Product, Select CBD products are derived from industrial hemp and available in an array of options to best meet your needs. Whether you are seeking an all natural aid to Revive yourself, Focus, or simply Relax - Select CBD has got you covered. Explore CBD like never before, available inSelect CBD Drops(tincture form) andSelect CBD Blends(all-in-one disposable vape pens). 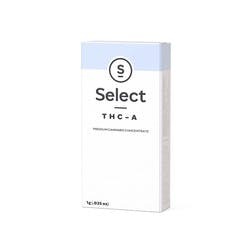 Select 1:1 Drops combine equal parts THC and CBD that work synergistically together to magnify their effects and create a comfortable experience known as the "entourage effect." Enjoy the effects of this cannabinoid packed tincture without vaping or smoking. Formulated for rapid absorption into the bloodstream, this precise balance of cannabinoids are paired with cinnamon essences and MCT oil. 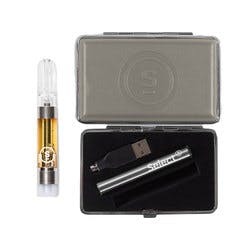 Testing between 80 to 95% THC, Select Elite takes vaping to a higher level with luxuriant terpene infused-oils. Our most popular product, this Select staple is known for having the highest THC with incredible flavor and smooth vapor. Through proprietary and highly refined distillation techniques, Select Elite delivers an activated, broad-spectrum and low viscosity oil that is truly unmatched. Dabbables are distillate with the highest concentration of THC (also testing between 80-95% THC) and terpenes sourced from the best strains of cannabis. Encased in a distillate vial, Dabbables can be easily enjoyed by applying it to a hot nail and vaporized with a glass rig, or dripped onto a joint or bowl of flower for an extra kick of flavor and potency. THC-A is a purified isolate, or the raw chemical compound found on cannabis plants. In its current state, THC-A is not activated but, when heated, tests up to 99.99% THC and can offer the cleanest vapor experience for fure cerebral effects. Simply pair the THC-A with any dab or flower to bump up the potency. I keep coming back to Select after trying other cartridges. They are on point, consistent, effective, and perfectly flavored. Best of the best.